Trusted Auto Repair Service in the Reno, Sparks, NV area since 1951. Sunshine Service offers A.S.E. 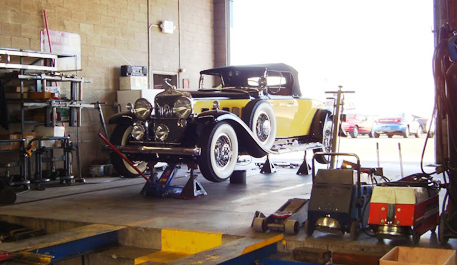 Master Mechanics for auto repair and service to the Reno, Sparks and Northern Nevada area for over 65 years. Since 1951, Reno area drivers have trusted Sunshine Service as the recognized Brake & Alignment specialists, but we are also experts at everything your car needs, from major engine, air conditioning, brakes, electrical, steering, clutch, muffler, transmission, suspension, chassis, timing belts, alternator, and anything else, other than internal major diesel engine work. We can diagnose about 95% of the vehicles on the road, Domestic, Asian and European. Sunshine can also perform your vehicle manufacturer's required warranty services, which includes the ability to re-program ( or, "re-flash") your vehicle's computer with the vehicle manufacturer's latest software updates. I always have great service here, that’s why my family and neighbors all take our vehicles here. They are friendly, knowledgeable, and they always make sure to go over everything with you before they do any work on the vehicle. NEVER have I walked away feeling I paid for service I didn’t need or that wasn’t done right. Friendly and EXCELLENT service! .....as always. They are the BEST!!!! They stand by their work, which is hard to find shops that do. My car had tricky electrical issues and they were the only ones that could ferret them out. They were tenacious and solved my problem. Fantastic service and just driving home the RV. Wow what a difference on the steering and sway. Thanks guys! Always professional and courteous . Work done within estimates and done right the first time. I trust my Winnebgo and several cars to them -- great service, done when they say, and done right. They also clearly explain what they find and how it was fixed. Sunshine Service warranty is for a full three-years or 36K miles on all parts and labor. As a certified NAPA Auto Care Center, you get NAPA's Peace Of Mind 36 month – 36,000 mile Nationwide warranty on all parts and labor. There are some exclusions to NAPA's warranty, and conditions apply on normal wear items. Please call to ask if you have any questions. If your car or truck’s making a funny noise, or it’s not behaving like it used to, bring it in for a fast and accurate diagnosis. We’ll give you our best suggestions on how to repair your car based on your time and budget. Since 1951, RV/motorhome and fifth wheel owners in the Reno and Sparks area trust us for their regular RV maintenance and RV repair needs. Our ASE certified mechanics are highly experienced with servicing every part of your RV. If your car, truck, RV or trailer naturally pulls to the right or left when you’re driving along a straight road, your alignment needs checking. Even if you’re careful, it’s easy to knock your RV, car, or trailer out of alignment.